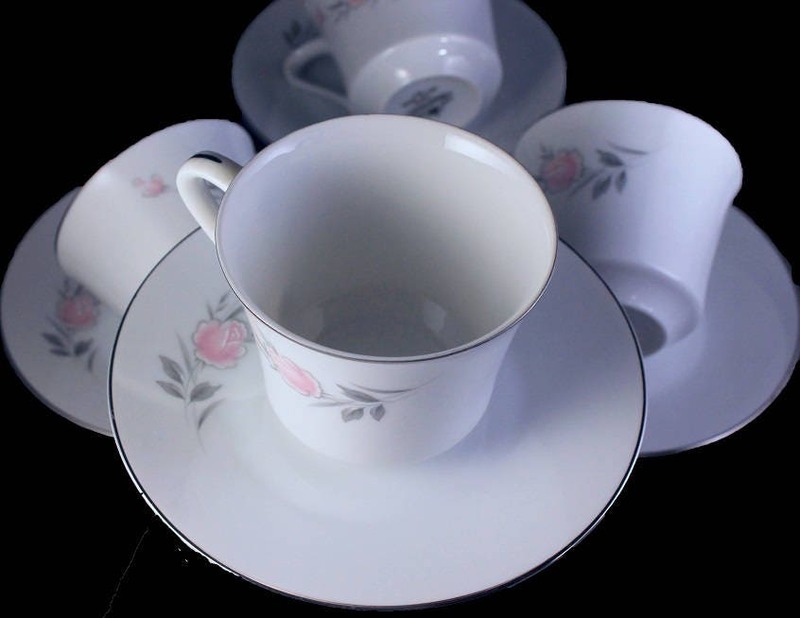 These are beautiful cups and saucers. 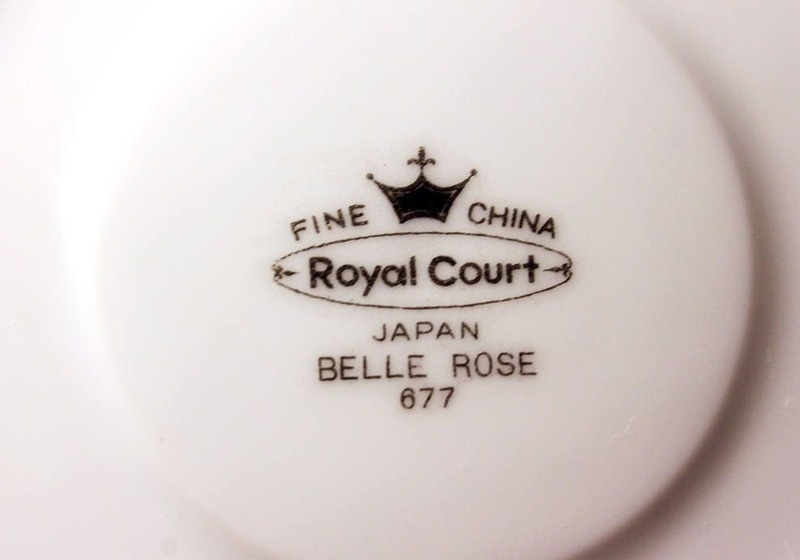 They are made by Royal Court China in the Belle Rose pattern. 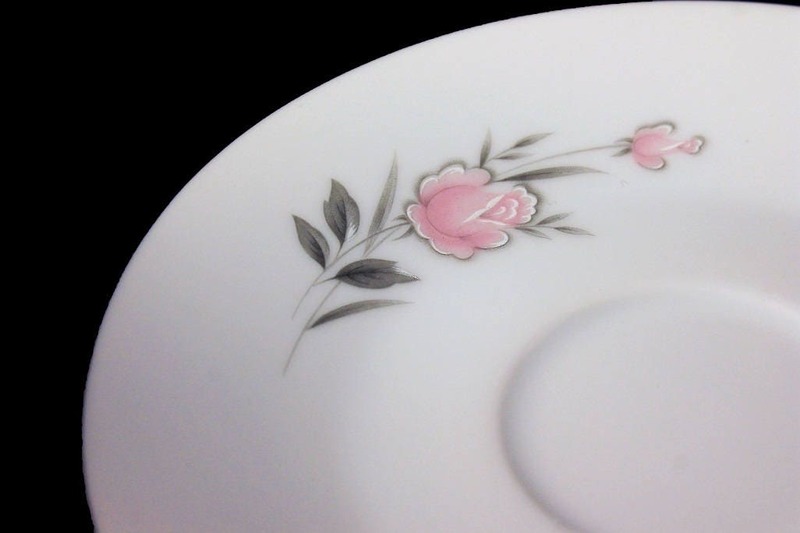 The pattern is of Pink Rose and Rose Bud. 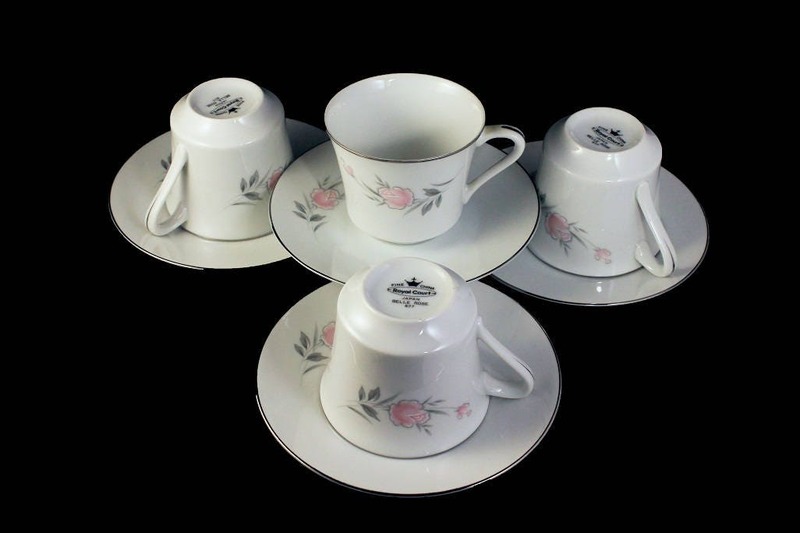 This listing is for only one set of four of these cups and saucers we have three more sets of four available. 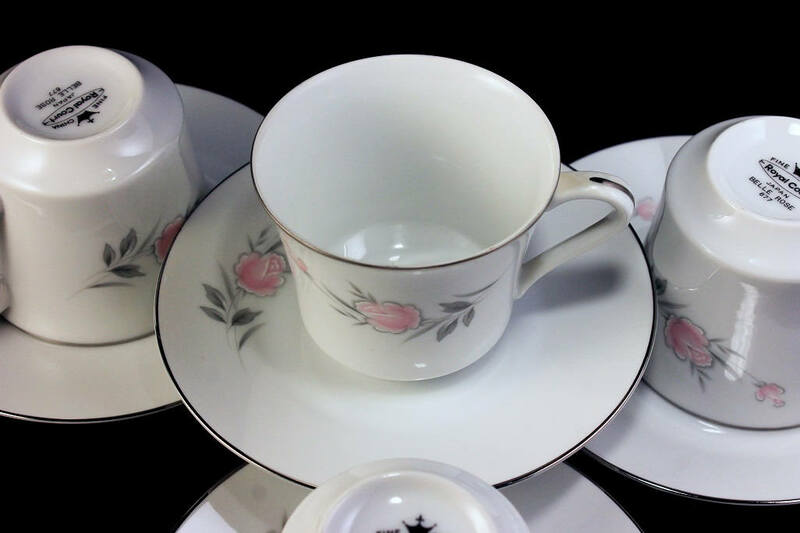 These are wonderful cups and saucers for that afternoon tea, to brighten a buffet table or make a dinner table statement. 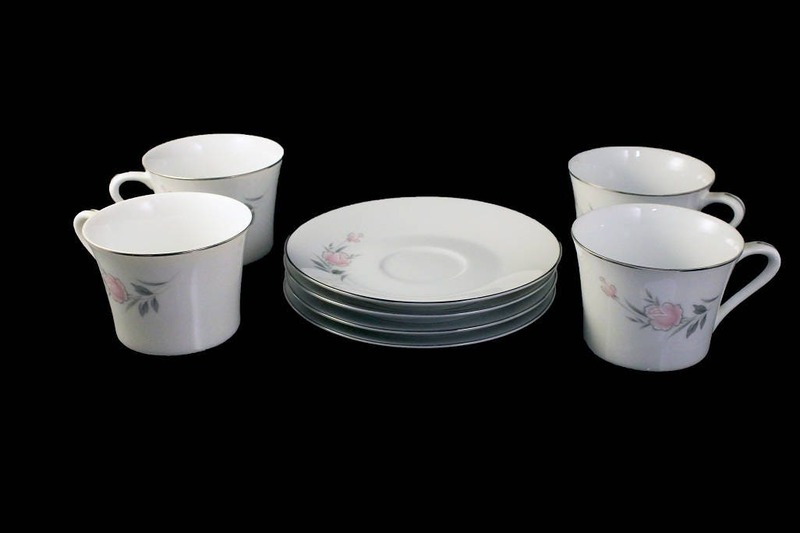 An elegant and versatile set. 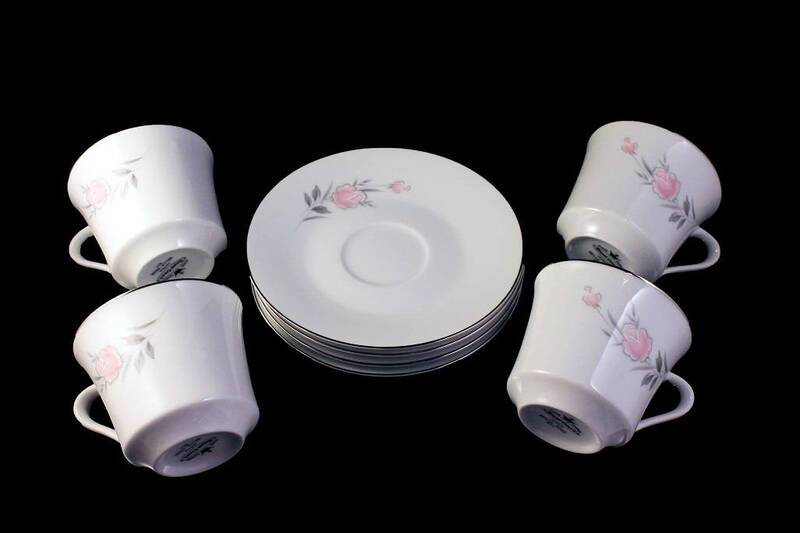 All sets of these cups and saucers are in excellent condition. 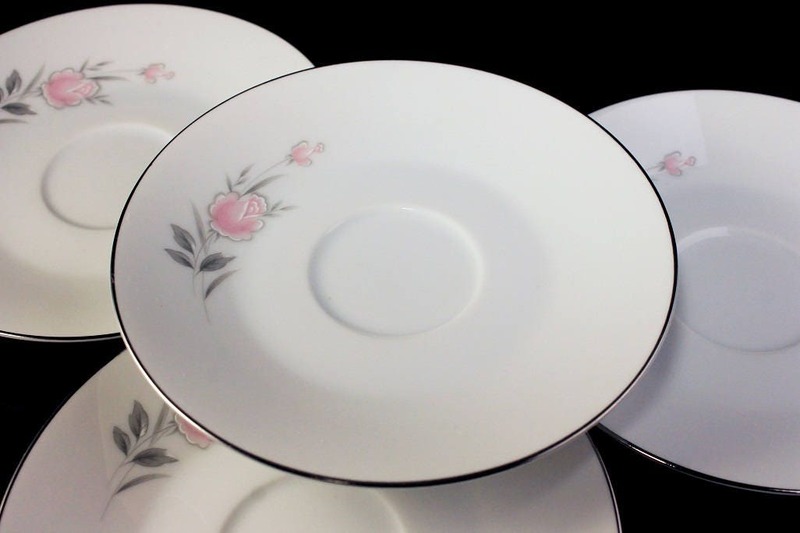 There are no chips, cracks, or crazing. The platinum rims do show very little wear.